THE TOUGHEST, MOST COMFORTABLE WORK BOOTS. PERIOD. Built to withstand the elements and keep you safe in comfort, no matter what. 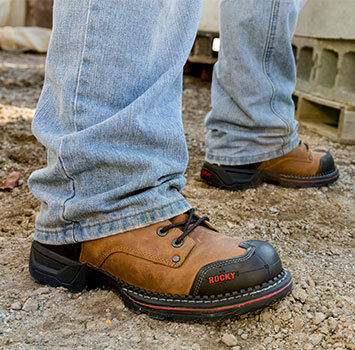 Shop our wide range of styles including Non-Protective Toe, and for protection on and off the jobsite shop our lineup of Steel Toe and Composite Toe. We have you covered for whatever mother nature throws your way with Waterproof Boots and Insulated Boots.